Addison’s Disease: Also known as hypoadrenocorticism, this extremely serious condition is caused by an insufficient production of adrenal hormones by the adrenal gland. Most dogs with Addison’s disease vomit, have a poor appetite, and lethargy. Because these signs are vague and can be mistaken for other conditions, it’s easy to miss this disease as a diagnosis until it reaches more advanced stages. More severe signs occur when a dog is stressed or when potassium levels get high enough to interfere with heart function, causing severe shock and death. If Addison’s is suspected, your vet may perform a series of tests to confirm the diagnosis. Breeds prone to this ailment: Bouvier des Flandres, Great Pyrenees, Keeshond, Miniature Poodle, Newfoundland, Pointer, Poodle, Schnoodle, Soft Coated Wheaten Terrier. Allergies: Skin allergies are typically caused by such environmental allergens as fleas, grass, pollen, and dust.They can also be food related, but this is less common. Common food allergens include beef, rice, wheat, and corn. Allergies can cause intense itching and discomfort, which means dogs will dig and chew sometimes till they bleed. This is risky because secondary infections can develop in the damaged tissue. To treat allergies, the cause must be identified and removed from the dog’s environment if possible. A veterinarian can help you with this, as well as let you know which allergy symptoms can be controlled with medication. Breeds prone to this ailment: Afghan Hound, Airedale Terrier, American Pit Bull Terrier, American Water Spaniel, Australian Shepherd, Australian Terrier, Basset Hound, Bearded Collie, Bichon Frise, Black Russian Terrier, Border Collie, Boston Terrier, Boxer, Cockapoo, Cocker Spaniel, Collie, Field Spaniel, French Bulldog, German Shepherd Dog, Golden Retriever, Goldendoodle, Ibizan Hound, Irish Water Spaniel, Italian Greyhound, Keeshond, Labradoodle, Lhasa Apso, Miniature Australian Shepherd, Mixed, Petit Basset Griffon Vendeen, Pharaoh Hound, Pointer, Pomeranian, Pug, Rat Terrier, Saint Bernard, Scottish Deerhound, Shiba Inu, Shih Tzu, Welsh Terrier. Asthma: Asthma is basically a term for difficulty breathing (called “dyspnea”). It usually includes wheezing and shortness of breath due to spasms and constriction of the large upper airways (the trachea and bronchi). Dogs, like people, can develop asthma, although in dogs the disorder typically is referred to as allergic bronchitis. In dogs, this condition is almost always caused by an allergic reaction to something in the environment, which in turn causes an inflammatory response in the upper airways. Most of the time, the allergen is something that the dog inhales. Long-standing allergic bronchitis can damage the tissues lining the respiratory tract, causing the more permanent changes associated with chronic bronchitis. Cataracts: As in humans, canine cataracts are characterized by cloudy spots on the eye lens that can grow over time. They may develop at any age, and often don’t impair vision, although some cases cause severe vision loss. Breeding dogs should be examined by a board-certified veterinary ophthamologist to be certified as free of hereditary eye disease before they’re bred. Cataracts can usually be surgically removed with good results. Breeds prone to this ailment: Afghan Hound, Alaskan Malamute, American Bulldog, American Water Spaniel, Australian Shepherd, Black and Tan Coonhound, Boston Terrier, Bouvier des Flandres, Chinook, Cockapoo, Cocker Spaniel, Field Spaniel, Fox Terrier, German Pinscher, German Wirehaired Pointer, Goldador, Golden Retriever, Great Pyrenees, Greater Swiss Mountain Dog, Havanese, Ibizan Hound, Irish Water Spaniel, Italian Greyhound, Japanese Chin, Keeshond, Kerry Blue Terrier, Labrador Retriever, Lowchen, Miniature Poodle, Miniature Schnauzer, Newfoundland, Old English Sheepdog, Peekapoo, Pekingese, Pembroke Welsh Corgi, Pointer, Puli, Saint Bernard, Schnoodle, Siberian Husky, West Highland White Terrier. Cheyletiella Dermatitis (Walking Dandruff): This is a skin condition that is caused by a small mite. If you see heavy dandruff, especially down the middle of the back, contact your vet. The mites that cause this condition are contagious, which means all pets in the household need to treated. Collie Eye Anomaly: Collie eye anomaly (CEA) is a congenital, inherited, bilateral eyedisease of dogs, which affects the retina, choroid, and sclera. It can be a mild disease or cause blindness. CEA is caused by a simple autosomal recessive gene defect. There is no treatment. Demodectic Mange: Also called demodicosis, all dogs carry a little passenger called a demodex mite. The mother dog passes this mite to her pups in their first few days of life. The mite can’t be passed to humans or other dogs; only the mother passes mites to her pups. Demodex mites live in hair follicles and usually don’t cause any problems. If your Pug has a weakened or compromised immune system, however, it can develop demodectic mange. Demodectic mange can be localized or generalized. In the localized form, patches of red, scaly, skin with hair loss appears on the head, neck and forelegs. It’s thought of as a puppy disease, and often clears up on its own. Even so, you should take your dog to the vet because it can turn into the generalized form of demodectic mange. Generalized demodectic mange covers the entire body and affects older puppies and young adult dogs. The dog develops patchy skin, bald spots, and skin infections all over the body. The American Academy of Veterinary Dermatology recommends neutering or spaying all dogs that develop generalized demodectic mange because there is a genetic link. Breeds prone to this ailment: Afghan Hound, Anatolian Shepherd Dog, Boxer, Cane Corso, Chinese Shar-Pei, Pointer, Pug, Rat Terrier, Staffordshire Bull Terrier, Toy Fox Terrier. Diabetes: Diabetes mellitus is a disease which affects the production of insulin. Insulin is a hormone produced by the pancreas and necessary in the regulation of blood glucose. If your dog has diabetes, either his body does not produce enough insulin, or he produces sufficient amounts but his body is insensitive to it. Breeds prone to this ailment: Australian Terrier, Beagle, Bichon Frise, Cairn Terrier, Dachshund, Fox Terrier, Keeshond, Labradoodle, Miniature Poodle, Miniature Schnauzer, Pug, Puli, Samoyed, Schnoodle, Silky Terrier,Australian Terrier, Beagle, Bichon Frise, Cairn Terrier, Dachshund, Fox Terrier, Goldador, Golden Retriever, Keeshond, Miniature Poodle, Miniature Schnauzer, Pug, Puli, Samoyed. Elbow Dysplasia: This is a heritable condition common to large-breed dogs. It’s thought to be caused by different growth rates of the three bones that make up the dog’s elbow, causing joint laxity. This can lead to painful lameness. Your vet may recommend surgery to correct the problem or medication to control the pain. Breeds prone to this ailment: Afghan Hound, Anatolian Shepherd Dog, Australian Shepherd, Bearded Collie, Belgian Malinois, Belgian Sheepdog, Belgian Tervuren, Bernese Mountain Dog, Black Russian Terrier, Bloodhound, Bouvier des Flandres, Briard, Bullmastiff, Chinese Shar-Pei, Chow Chow, Curly-Coated Retriever, English Setter, German Shepherd Dog, Goldador, Golden Retriever, Goldendoodle, Gordon Setter, Great Pyrenees, Greater Swiss Mountain Dog, Havanese, Irish Wolfhound, Labradoodle, Labrador Retriever, Miniature Australian Shepherd, Miniature Poodle, Neapolitan Mastiff, Newfoundland, Peekapoo, Pekingese, Petit Basset Griffon Vendeen, Pharaoh Hound, Plott, Poodle, Puli, Rhodesian Ridgeback, Rottweiler, Saint Bernard, Samoyed, Schnoodle, Siberian Husky, Staffordshire Bull Terrier, Tibetan Mastiff. Entropion:Entropion is a genetic condition in which a portion of the eyelid is inverted or folded inward. This can cause an eyelash or hair to irritate and scratch the surface of the eye, leading to corneal ulceration or perforation. It can also cause dark-colored scar tissue to build up over the wound (pigmentary keratitis). These factors may cause a decrease or loss of vision. Entropion is fairly common in dogs and is seen in a wide variety of breeds, including short-nosed breeds, giant breeds, and sporting breeds. Entropion is almost always diagnosed around the time a puppy reaches its first birthday. Breeds prone to this ailment Anatolian Shepherd Dog, Bloodhound, Bouvier des Flandres, Bulldog, Bullmastiff, Cane Corso, Chinese Shar-Pei, Chow Chow, Clumber Spaniel, Curly-Coated Retriever, English Springer Spaniel, German Shorthaired Pointer, German Wirehaired Pointer, Great Pyrenees, Greater Swiss Mountain Dog, Irish Water Spaniel, Kerry Blue Terrier, Komondor, Miniature Schnauzer, Peekapoo, Pekingese, Pointer, Saint Bernard, Weimaraner, Welsh Springer Spaniel. Glaucoma is a condition in which pressure is placed on the eye, causing inadequate fluid drainage in the eye. If the condition becomes chronic or persists without treatment, it will eventually cause permanent damage to the optic nerve, resulting in blindness. Glaucoma is common in certain dog breeds that are genetically predisposed, such as samoyeds, cocker spaniels, poodles, chow chows, and Siberians. Unfortunately, 40 percent of dogs affected by glaucoma will become blind in the affected eye within the first year, regardless of medical or surgical treatment. Osteosarcoma: Osteosarcoma is a malignant bone cancer that’s common in large and giant breeds. Hemi-vertebrae: Short-nosed breeds, such as Pugs, Bulldogs and French Bulldogs, can have misshaped vertebrae. Sometimes, only a few of the vertebrae are affected and the dog is able to live a normal life. Others will stagger and display an uncoordinated, weak gait between 4 and 6 months of age. Some dogs get progressively worse and may even become paralyzed. The cause of the condition is unknown. Surgery can help. Hypothyroidism: This is a disorder of the thyroid gland that’s thought to cause conditions such as epilepsy, hair loss, obesity, lethargy, dark patches on the skin, and other skin conditions. It’s treated with medication and diet. Breeds prone to this ailment: Afghan Hound, Airedale Terrier, Akita, Alaskan Malamute, American Bulldog, American Pit Bull Terrier, American Water Spaniel, Anatolian Shepherd Dog, Australian Shepherd, Basenji, Beagle, Bearded Collie, Belgian Sheepdog, Bloodhound, Border Terrier, Bouvier des Flandres, Boxer, Briard, Brittany, Bulldog, Bullmastiff, Cairn Terrier, Chinese Shar-Pei, Clumber Spaniel, Cocker Spaniel, Dachshund, Doberman Pinscher, English Setter, Field Spaniel, Golden Retriever, Goldendoodle, Gordon Setter, Great Dane, Greyhound, Irish Setter, Irish Water Spaniel, Italian Greyhound, Keeshond, Kerry Blue Terrier, Labradoodle, Miniature Pinscher, Miniature Poodle, Newfoundland, Norwegian Elkhound, Petit Basset Griffon Vendeen, Pharaoh Hound, Pocket Beagle, Poodle, Puggle, Puli, Rottweiler, Saint Bernard, Saluki, Samoyed, Schnoodle, Scottish Deerhound, Shetland Sheepdog, Shiba Inu, Siberian Husky, Toy Poodle, Vizsla, Weimaraner, Welsh Terrier, Yorkie Poo, Yorkshire Terrier. Intervertebral disc disease: IVDD is a condition where the cushioning discs between the vertebrae of the spinal column either bulge or burst (herniate) into the spinal cord space. These discs then press on the nerves running through the spinal cord causing pain, nerve damage, and even paralysis. 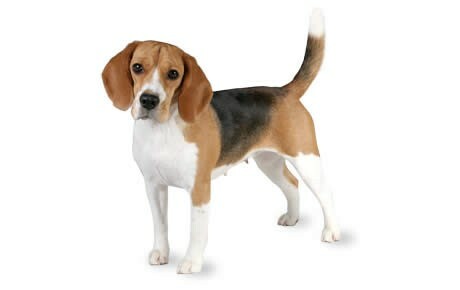 Breeds prone to this ailment: Basset Hound, Beagle, Bulldog, Cocker Spaniel, Dachshund, Doberman Pinscher, English Cocker Spaniel, French Bulldog, German Shepherd Dog, Labrador Retriever, Miniature Poodle, Pekingese, Pembroke Welsh Corgi, Shih Tzu, Sussex Spaniel. Legg-Perthes Disease: This is another disease involving the hip joint. Many toy breeds are prone to this condition. When your dog has Legg-perthes, the blood supply to the head of the femur (the large rear leg bone) is decreased, and the head of the femur that connects to the pelvis begins to disintegrate. Usually, the first signs of Legg-Perthes, limping and atrophy of the leg muscle, occur when puppies are 4 to 6 months old. The condition can be corrected with surgery to cut off the diseased femur so that it isn’t attached to the pelvis any longer. The scar tissue that results from the surgery creates a false joint and the puppy is usually pain free. Breeds prone to this ailment American Eskimo Dog, Cairn Terrier, Chinese Crested, English Toy Spaniel, Italian Greyhound, Jack Russell Terrier, Japanese Chin, Maltipoo, Miniature Pinscher, Schipperke, Schnoodle, Silky Terrier, Toy Fox Terrier, West Highland White Terrier, Yorkie Poo, Australian Terrier, Affenpinscher, Fox Terrier, Havanese, Miniature Poodle, Pomeranian, Poodle, Pug. Nerve Degeneration: Older dogs that drag their rear, stagger, have trouble jumping up or down, or become incontinent may be suffering from nerve degeneration. Dogs affected with this condition don’t appear to be in pain and the condition usually advances slowly. Researchers aren’t sure why it occurs. Since their front legs often remain strong, some owners buy carts to help their dogs get around, and the veterinarian might be able to prescribe medication to help alleviate symptoms. Obesity: Up to 40% of all dogs are obese. The health consequences of these extra pounds are just as serious, too: overweight dogs put greater stress on their joints, hearts, lungs, liver, and kidneys. They’re more prone to injury, and are at a higher risk during surgery. Osteochondrosis Dissecans (OCD): This orthopedic condition, caused by improper growth of cartilage in the joints, usually occurs in the elbows, but it has been seen in the shoulders as well. It causes a painful stiffening of the joint, to the point that the dog is unable to bend his elbow. It can be detected in dogs as early as four to nine months of age. 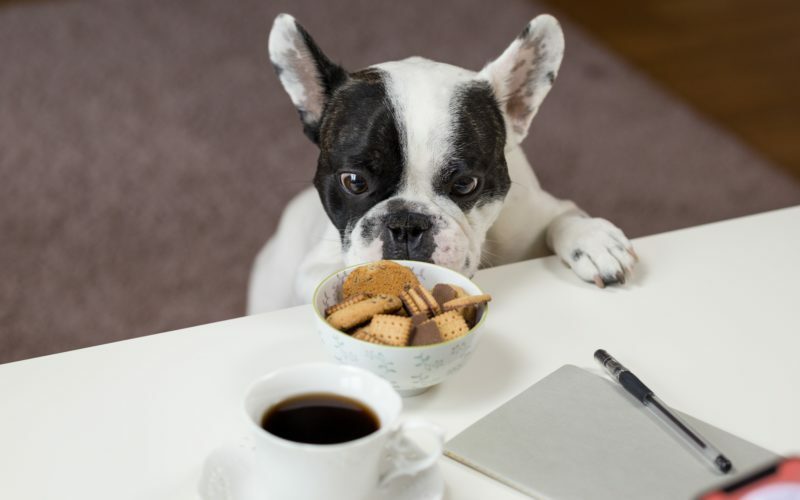 Overfeeding of “growth formula” puppy foods or high-protein foods may contribute to its development. Breeds prone to this ailment: Australian Shepherd, Border Collie, Borzoi, Chinese Shar-Pei, Giant Schnauzer, Golden Retriever, Greater Swiss Mountain Dog, Irish Setter, Irish Wolfhound, Labrador Retriever, Tibetan Mastiff,Bernese Mountain Dog, English Setter, Great Dane, Kuvasz, Labrador Retriever, Newfoundland, Old English Sheepdog, Rottweiler, Saint Bernard. Progressive Retinal Atrophy (PRA): PRA is a family of eye diseases that involves the gradual deterioration of the retina. Early in the disease, dogs become night-blind. As the disease progresses, they lose their daytime vision as well. Many dogs adapt to limited or complete vision loss very well, as long as their surroundings remain the same. Breeds prone to this ailment: Airedale Terrier, Akita, American Eskimo Dog, American Water Spaniel, Australian Cattle Dog, Australian Shepherd, Beagle, Bearded Collie, Belgian Malinois, Belgian Sheepdog, Belgian Tervuren, Bernese Mountain Dog, Black Russian Terrier, Border Collie, Borzoi, Briard, Cardigan Welsh Corgi, Chesapeake Bay Retriever, Chihuahua, Chinese Crested, Collie, Curly-Coated Retriever, Dachshund, Doberman Pinscher, English Springer Spaniel, Field Spaniel, Glen of Imaal Terrier, Goldador, Golden Retriever, Goldendoodle, Gordon Setter, Irish Setter, Irish Wolfhound, Italian Greyhound, Japanese Chin, Keeshond, Labradoodle, Labrador Retriever, Lhasa Apso, Lowchen, Maltese, Maltipoo, Mastiff, Miniature Pinscher, Miniature Poodle, Miniature Schnauzer, Norwegian Elkhound, Nova Scotia Duck Tolling Retriever, Old English Sheepdog, Oriental, Papillon, Peekapoo, Pekingese, Pembroke Welsh Corgi, Pointer, Polish Lowland Sheepdog, Poodle, Portuguese Water Dog, Puli, Samoyed, Schnoodle, Shiba Inu, Siberian Husky, Tibetan Spaniel, Tibetan Terrier, Vizsla, Weimaraner, Wirehaired Pointing Griffon, Yorkshire Terrier. Pug Dog Encephalitis: PDE is a fatal inflammatory brain disease that is unique to Pugs. Medical researchers don’t know why Pugs develop this condition; there is no way test for it or to treat it. A diagnosis of PDE can only be made by testing the brain tissue of the dog after it dies. PDE usually affects young dogs, causing them to seizure, circle, become blind, then fall into a coma and die. This can happen in a few days or weeks. Since PDE seems to have a genetic component, the Pug Dog Club of America, along with the American Kennel Club Canine Health Foundation, is sponsoring research projects to try to learn more about this devastating disease. Staph Infection: Staph bacteria is commonly found on skin, but some dogs will develop pimples and infected hair follicles if their immune systems are stressed. The lesions can look like hives where there is hair; on areas without hair, the lesions can look like ringworm. You should contact your vet for appropriate treatment. Stenotic Nares, also known as pinched nostrils, is a congenital disorder (meaning the dog is born with it). It affects dogs with short muzzles and makes it difficult for them to breathe. Signs include noisy breathing and exercise intolerance. Dogs that aren’t getting enough oxygen may have blue gums. Mild cases can be managed by preventing obesity, limiting exercise during hot or humid weather, and using a harness instead of a neck collar. More severe cases may require surgical repair. Sebaceous Adenitis (SA): This genetic condition is difficult to diagnose and often is mistaken for hypothyroidism, allergies, or other conditions. When a dog has SA, the sebaceous glands in the skin become inflamed for unknown reasons, and are eventually destroyed. These glands typically produce sebum, a fatty secretion that aids in preventing drying of the skin. It’s usually first noticed when the dog is from 1 to 5 years old. Affected dogs typically have dry, scaly skin with hair loss on top of the head, neck, and back. Severely affected dogs can have thickened skin and an unpleasant odor, along with secondary skin infections. Although the problem is primarily cosmetic, it can be uncomfortable for the dog. Your vet will perform a biopsy of the skin if SA is suspected.SA is a serious problem in Poodles, especially Standards. It’s estimated that 50 percent of all Standard Poodles are carriers, or affected. Treatment options vary. Subvalvular Aortic Stenosis (SAS): This heart problem is caused by a narrow connection between the left ventricle (out-flow) and the aorta. Subaortic Stenosis is the second most common inherited heart disease in dogs. Subaortic stenosis or SAS is a complex genetic problem. SAS is most common in large pure-bred dogs like German Shepherds, Great Danes, Boxers, Newfoundlands, Rottweilers, Golden Retrievers, German Shorthaired Pointers, Bull Terriers, Bouvier de Flanders and Bernese Mountain Dogs. Vaccination Sensitivity: Usually, symptoms include hives, facial swelling, soreness and lethargy. A dog that is sensitive to vaccines can develop complications or die, though this is rare. Watch your dog carefully for a few hours after being vaccinated and call the vet if you notice anything unusual. Von Willebrand’s Disease: This is an inherited blood disorder that interferes with the blood’s ability to clot. The main symptom is excessive bleeding after an injury or surgery. Other symptoms include nosebleeds, bleeding gums, or bleeding in the stomach or intestines. There is no cure, and a blood transfusion from the blood of normal dogs is currently the only treatment. Research is underway for new treatments, including medication. Breeds prone to this ailment: Airedale Terrier, Basset Hound, Bernese Mountain Dog, Briard, Chesapeake Bay Retriever, Doberman Pinscher, French Bulldog, German Pinscher, German Shorthaired Pointer, German Wirehaired Pointer, Golden Retriever, Goldendoodle, Italian Greyhound, Keeshond, Kuvasz, Manchester Terrier, Miniature Poodle, Miniature Schnauzer, Pembroke Welsh Corgi, Pharaoh Hound, Poodle, Saint Bernard, Samoyed, Schnoodle, Scottish Deerhound, Scottish Terrier, Shetland Sheepdog, Siberian Husky, Whippet. Yeast Infection: If your dog smells bad, is itchy and has blackened, thickened skin, he may have a yeast infection. It commonly affects the armpits, feet, groin, neck, and inside the ears. Your vet can prescribe medications to clear this up.